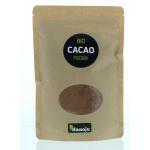 Our raw cocoa powder is made from organically grown cacao beans which are rich in good nutrients. 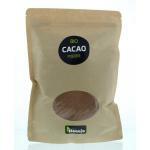 Cocoa is a superfood and is also a very tasty and much used ingredient in multi cakes and desserts. 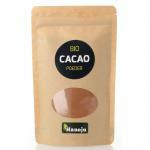 These cocoa products are not exposed to high temperatures, which keeps the natural nutrients in the product. 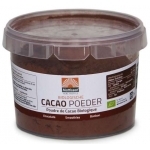 The raw Cocoa beans are crushed to a powder. 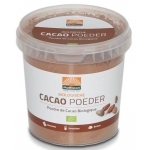 The Raw cocoa powder from our online store is of excellent quality, perfectly pure and has a delicious pure cocoa taste! 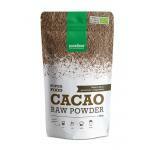 We also sell several other rawfood products and many natural foods. 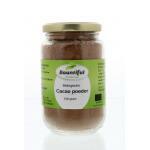 Raw cocoa powder can be used on a daily basis and can be used in a large variety of meals and desserts. 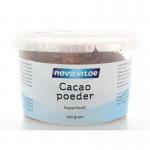 Not only wonderful in taste but also very healthy to eat on a daily basis. Please take a look at our products.